To their credit, when this work was published in 2000, the CPGB/Weekly Worker was one of the few trends on the left that did not bend before the outcry of Zionists, and much of the left that had an ideological blind spot for the Zionist exploitation and abuse of the memory of the Nazi Genocide to justify Israel’s dispossession of the Palestinians and their oppression today. It is a matter of public record that the CPGB were in effect Nazi-baited and accused of supporting anti-Semitism for defending Finkelstein’s trenchant critique. It was with considerable interest therefore that I attended Norman Finkelstein’s session on the Tuesday morning, which was titled ‘the Future of Palestine’. For in the intervening years, much has changed about both the CPGB and Norman Finkelstein. Regarding the CPGB, they have moved in a contradictory manner from their origins as possibly one of the most left-wing splinter groups from the decaying official ‘Communist’ movement, i.e. from Stalinism, in search of a genuinely revolutionary position. They have embraced the politics of third-campism, a variant of the politics of Max Shachtman and Hal Draper, in political terms, which they attempt to give a more left-sounding spin than those such as the Alliance for Workers Liberty who really do show their softness on Western imperialism in virtually every position they take on international questions. 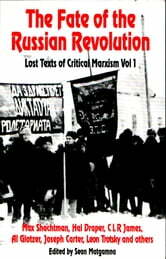 The CPGB’s variant of Shachtman/Draperism involves an analysis of the old, degenerated USSR as a society with no ruling class and no defined class nature – except for the conviction that it was not any kind of degenerated workers state prior to 1991 as mainstream Trotskyists (including the majority of Socialist Fight) say, nor did it become a transient and abnormal statified form of capitalism after the counterrevolutionary massacre of the Bolshevik Party’s historic cadre in the great purges of the late 1930s, as a minority of Trotskyists (including myself) maintain. Rather, this position seems to eschew taking a stance at all on which class held power in the USSR after they determined that it ceased to be a degenerated workers state (which the CPGB’s main leader Jack Conrad says was in 1928.) They simply define it as a ‘freak ‘or ‘ectopic’ society, with no defined class character, for the over six decades after that. The USSR question is more of an historical question than one of burning current importance, as all the former ‘communist countries’ with the exception of North Korea have now either been overthrown, or themselves adopted stringently capitalist economic forms, in effect being ruled by an openly bourgeois class even if it does often make use of state levers for capitalist purposes. Even Cuba has most recently undertaken a path apparently similar to China, opening up to the imperialist market. More to the point is that the dominant question involving imperialism today is the need to defend the peoples of semi-colonial nations against predation from the Western powers, centrally the United States, with Britain and other West European imperialist states as well as Japan, Australia, Canada etc. as its junior partners, and Zionist Israel as the joker in the imperialist pack. Israel being an unusual variant on the classic type of imperialist power in that it was transplanted into the Middle East through colonisation during the imperialist epoch itself with only wavering sponsorship by the main imperialist powers, Britain and subsequently the US. The agent of its creation rather was a Jewish-Zionist colonial movement, of heterogeneous class composition and country of origin, but whose real class programme expressed the interests and quasi-national aspirations of part of the Jewish section of the bourgeoisie of the Western countries, who regarded it as imperative to acquire their ‘own’ state as a refuge from possible persecution in the imperialist world. This was realised through the dispossession and expulsion of the majority of the Arab population of historic Palestine, in a catastrophic crime that is still ongoing since 1947. The CPGB has again, tried to avoid desperately taking a position one way or another on imperialism and Zionism. It refuses to define semi-colonial countries as subjected to national oppression and a kind of social subjugation by imperialism, because this would logically mean taking a side openly with semi-colonial countries that are attacked or threatened by Western imperialism. While it often engages in polemics against others on the left who in its terms capitulate to imperialism to give itself a degree of left cover, its default position is one of neutrality when any semi-colonial country with a bourgeois regime is attacked by imperialism. It uses a lot of pseudo-left verbiage to justify this, along with the mockery that it often directs at those on the left who do take sides (such as ourselves), as supposedly advocating creating ‘international brigades’ and the like out of nothing to fight for some odious third world regime, such as the Taliban or ISIS. But this is demagogy. For whatever may or may not be possible now in terms of solidarity and resistance to imperialism’s acts of plunder, a position of neutrality in such ‘hypothetical’, ‘military’ terms is still a position of neutrality in principle. That is, it is a social pacifist posture of indifference to the targets of imperialism’s predatory wars, and hence a programmatic green light to the imperialists to take out ‘reactionary’ regimes and movements in the Global South. This is capitulation to imperialism, no matter how it is dressed up. Related to this is the CPGB’s capitulation over Israel. Our tendency has become known as the most ideologically consistent leftist opponent of Zionism and its influence as a highly specific form of imperialist politics in the main imperialist countries of North America and Western Europe, not just Israel itself. Our understanding is that the specific political forces that Israel’s supporters are able to mobilise in the older imperialist countries to criminalise dissent against Israel’s dispossession and crushing of the Palestinians constitute an additional layer of imperialist politics. To put it this way; it cannot be said that either US or British imperialism, or for that matter the other European imperialists, have a direct material interest in slavishly supporting virtually every single atrocity carried out by Israel against the Palestinians. Palestinians are not at war with either Britain or United States, or any other of the old imperialist powers. But in current times, it is more dangerous politically in the United States and Britain to oppose Israel’s crimes against the Palestinians than it is to oppose British or US imperialism directly. For instance, opposing British and American interventions in Iraq, or Afghanistan, or Bosnia, or Kosovo, Sierra Leone, or even Ireland, does not get you accused of ‘anti-Semitism’ and expelled from the Labour Party at the behest of any powerful lobby or pressure group. Individuals who are particularly outspoken have been made examples of: most notably George Galloway, but this is not a general practice. This is not true, however, of opposition to Israel and Zionism. The current witch-hunt by the Blairites and Zionist-influenced apparatus around this is on a qualitatively greater level. It is becoming a commonplace that there is a determined drive to criminalise opposition to Israel’s crimes, and particularly the current campaign by leftists and anti-racists for ‘Boycott, Divestment and Sanctions’ against Israel. Zionists have gained enormous power in several imperialist countries, including the United States and Britain. In the US, it is becoming common to speak of the ‘Palestine exception’ to the First Amendment to the US constitution (which makes free speech a constitutional right). Similar things are underway in Britain, which has resulted in a ferocious attack on the left in the Labour Party by the right wing apparatus and PLP in the context of Jeremy Corbyn’s ascent to the party leadership, based on false, mendacious allegations that criticism of Zionism and support for the Palestinians is motivated by anti-Jewish racism, or anti-Semitism. Some on the left, including the CPGB, have in various degrees capitulated to that. AIPAC (American Israel Public Affairs Committee) is Israel’s main lobby in the U.S. There are about 126 other political action committees (PAC), listed under deceptive names to hide their actual purpose, that can be mobilized at any time to rain money on any congressman ousting his disobedient opponent who dared criticize any aspect of U.S.-Israeli relationship. No wonder AIPAC is referred to on the Capitol Hill as “The Lobby”. Many congressmen (now all ex’s), such as the late Fullbright, Findley, and Percy, felt its power when daring to mildly criticize U.S.-Israeli relationship. Such criticism would also induce the wrath of the numerous pro-Israel columnists around the nation’s major newspapers, such the New York Times’ Safire, A.M. Rosenthal and the more subtle Thomas Friedman, the Washington Post’s Charles Krauthammer and George Will, the Boston Globe’s Jeff Jacoby, or the New Republic’s Martin Peretz and Steven Emerson. Heresy hunts and witch-hunts: what’s the difference? Our tendency in particular has been targeted by the right wing and parts of the left for witchhunting over our opposition to Zionism. And the CPGB in our case has echoed the allegation of anti-Semitism against us, and even on some occasions implied that we have something in common with Nazism because of our forthright anti-Zionism and hostility to expressions of Jewish racism and chauvinism, which we see as just as dangerous as any other form of imperialist chauvinism. This reflects both the CPGB’s Stalinist background, and a degree of political capitulation to Zionism; both Stalinists and Zionists are well known for Nazi-baiting their left-wing critics. The point of our analysis that the CPGB really object to is our pointing out the overlap of the Israeli ruling class with the ruling classes of the US, UK and other advanced countries. This is the result of a shared ethnic-nationalist project of a politically self-selected part of the disproportionately large section of these ruling classes that are of Jewish origin, with the ruling class of Israel. It is a material fact, which can be determined by some simple research, that the representation of Jewish bourgeois in the ruling classes of the advanced countries greatly exceeds the proportion of Jews in the population. We consider this creates a unique relationship between Israel and the older imperialist powers, and thereby gives Israel a political clout over specifics that individual imperialist powers generally do not possess in each other’s politics, even when they are allies. To give a highly specific example; in the decades of Irish republican struggles against British imperialism there was a considerable section of US bourgeois opinion who expressed vocal sympathy for the Irish against Britain. This did not harm the political careers of the Kennedys, or the likes of Tip O’Neill one iota. This is because despite the origins of the US as a one-time British colony, there was no ethnocentric British lobby in US politics that could criminalise elements of Irish republican sympathy in US bourgeois politics. But there is a hugely powerful Zionist bourgeois lobby in US (and British) politics to be reckoned with, which has a Jewish bourgeois political core with a common interest with the Israeli ruling class through a common bourgeois citizenship embodied in Israel’s racist Law of Return. To seriously criticise Israel’s abuse of the Palestinians is to court almost certain ruin of a career in bourgeois politics, or even in academia. This is true for dissident Jews such as Norman Finkelstein, as well as more radical critics. The reason for this overrepresentation of Jews in the bourgeois classes of the imperialist countries is a tricky historical question, which we in Socialist Fight have addressed in Marxist historical materialist terms, most synthetically in the Draft Theses on the Jews and Modern Imperialism of Sept 2014. Much of our analysis is an extension of the approach of communists including Karl Marx and Abram Leon, who followed a pattern that is also true today, that some of the most penetrating analysts of Jewish politics, and critics of its reactionary sides, have been of Jewish origin themselves. This is a historical statement, but not one of necessity, and it is essential in fact that non-Jewish leftists should acquire the political cojones to get to grips with this difficult subject. When I, speaking as a Socialist Fight supporter in the discussion period after Norman Finkelstein’s session on the ‘future of Palestine’, made some of these points in my contribution, I was loudly heckled by some CPGB supporters and friends, and ran out of time in my contribution because of this disruption. I was then denounced, as is usual, by among others the CPGB’s Jack Conrad, who apart from saying that our views are reprehensible in a manner that he could not actually define, went on to flatly deny the obvious verifiable reality that Jews are represented in the ruling class of the United States and Britain in considerably greater numbers than they are represented among the general population in these countries. Facts contradict Jack Conrad; it is simply a fact that, for instance, Forbes, which is a kind of American Who’s Who of the bourgeoisie, notes that the representation of Jews among US billionaires is close to 50%, whereas the Jewish population of the US is only around 2%. These are not state secrets, nor are they disputed by Jewish sources – indeed some boast about these facts and the influence and prestige they bring. To mention these facts is apparently to commit some political crime. But since Marxism deals with facts as the basis of a materialist analysis of the world, it appears that for the CPGB Marxism is subordinate to liberal prejudices about highlighting Jewish ethnic -nationalist interests when they play a role in politics. The fact that some of these issues have been exploited by Nazis and other racists in the past means they are off-limits to Marxists. But that means that the Palestinians, who are on the receiving end of the oppression resulting at least in part from these things, are shafted and cannot be properly defended. Which is a betrayal of internationalism. We have considerable differences with Norman Finkelstein, who has a Maoist political past and has long since renounced Marxism. He has regrettably also developed a ‘pragmatic’ two–statist position on the Israel-Palestine conflict which I also briefly addressed in my contribution. This relies on apparent contradictions between the words of the ‘international community’, i.e. the imperialists, and their deeds over the illegality of the Israeli occupation of the West Bank, Gaza and Golan. Thus he seeks to exert pressure through a Gandhian strategy of civil disobedience and non-violent protesters ‘getting killed’ by the Israelis in order to mobilise world opinion against them. Even though he admitted this may not even work; as he said an occupation that is not temporary amounts to annexation, which certainly is the case given the large-scale settlement of the West Bank in particular – Gaza being a different facet of the same strategy, in this case to make a territory uninhabitable for its people and refugees. Despite making some of these criticisms of Norman Finkelstein in my curtailed contribution at CU, I was gratified that in his summary he came somewhat to our defence against the CPGB’s calumnies. Finkelstein’s did not give us a blanket defence; indeed to paraphrase somewhat, he said that even if someone has views that might be considered in some sense malevolent, they should still be listened to as there may be some element of what they are saying this is correct. Thus dissociating him from our views as a totality. Entirely understandable since he was unlikely to be aware of them in detail in any case. But on some key specifics, he defended us, saying that we were at least partly right and should not be heresy-hunted and heckled down. “Of course” the activities of the Zionist Lobby, of Jewish bourgeois like for instance Sheldon Adelson, were examples of ethnic influence in US bourgeois politics. Of course “Jewish lobbies” (the term he used) had influence in US politics, and on matters that could be deemed to be not absolutely fundamental to US imperialist interests, could force adoption of policies that are irrational from the point of view of the interests of US imperialism. Of course there was no US interest in associating itself with the most egregious atrocities of the Israeli right, but they frequently do. Finkelstein noted that on some seemingly fundamental issues for US imperialism, the Zionist lobby lost, for instance over Obama’s nuclear deal with Iran. It is not entirely clear to me that they have lost this, as the Republicans even prior to Trump’s ascendency were united in opposition to it, and Hillary Clinton was notoriously slow to endorse it and has rhetorically made stringent ‘demands’ of Iran that could easily be seen to be a means to sabotage it if she succeeds Obama. It may prove that Obama’s defiance of Netanyahu over the Iran deal was a transitory product of the US electoral cycle where a president in the second half of his second term can never face re-election, and thus enjoys exceptional latitude with regard to lobbies. The other substantial point he made was an analogy between the Jewish/Israeli lobby and the Cuban Gusano lobby, which saddled the US with an irrational policy towards Cuba for decades, until very recently. There are both similarities and differences here. One striking difference is that there is not and cannot be an overlap between the Gusano elements in the US ruling class, and Cuba itself. They are counterrevolutionary exiles hostile to the state at the centre of their project. But the overseas Jewish-Zionist bourgeoisie have deep roots in Israel as the imperialist bourgeois state it is today, and common citizenship by birth. These ruling classes overlap, and thus the link with Israel is much stronger than it was with Cuba. Notwithstanding these caveats, Finkelstein’s defence of our right to dissent and be heard, and even more his statements that on key aspects of what we say we are right against the CPGB, are devastating to these people. He was their honoured guest as an undoubtedly courageous Jewish dissident and fine writer, despite all his flaws. The denunciation of Socialist Fight and the individuals associated with it as examples of ‘left wing anti-semitism’ is now a point of honour and goes to the very root of the integrity of the CPGB leadership of Jack Conrad, which both hounded out myself from its sponsored platform in Left Unity for my views, and then took an absurd, contradictory position on the Zionist/right-wing attack on Gerry Downing in the Labour Party, professing to defend us on democratic grounds while agreeing with the right-wing that our views are anti-semitic. After the meeting, there were red faces from CPGB cadre. At lunch, their PCC comrade Tina Becker expressed shock that Norman Finkelstein had defended us and even agreed with us on some things. Jack Conrad even seemed to evidence good humour in responding to an ‘egg on your face’ gesture from comrade Downing. 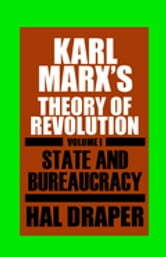 But humour aside, there are serious issues for Marxists and the left in general at stake here. It is telling that a respected Jewish dissident figure such as Norman Finkelstein has the courage to recognise and openly criticise Jewish ethnic politics in play in ruling class politics in the USA and Britain, whereas would-be Marxists cringe in fear and echo the right wing when these issues are raised. It was he who looked foolish as he spluttered his outrage at Norman Finkelstein’s defence of the very principles that he had condemned as anti-Semitic in Gerry Downing and Socialist Fight. We will not be holding our breath for the apology. Do they heckle others at their “university,” or was that treatment specially reserved for you? Only me on that occasion at least. I was there the most of the week, 7 out of the 8 days and it was the only hostile heckle from CPGB. At the last session I and a comrade from the Economic and Philosophic Notebooks did heckle John Bridge when he asserted that the USSR was a “freak” society between 1928 and 1991 – “it must have been either capitalist or workers” he intervened. The new Weekly Worker contains some additional information. I’m not so impressed by Finkelstein’s support of your right to be heard: he claimed the same to hypothetically argue for attending a class defending “holocaust denial.” (Thus, the term “malevolent.”) This on a liberal Millsian basis. Finkelstein and CPGB theoretician Macnair agree on what I see as a central tenet of Jewish chauvinism. From WW, “On the other hand, comrade Mike Macnair of the CPGB did not think it was impossible to drive Israel into the sea from a purely practical stance – he could imagine circumstances in which the US withdraws its support and the colonial-settler regime faces oblivion at the hands of vengeful neighbours. 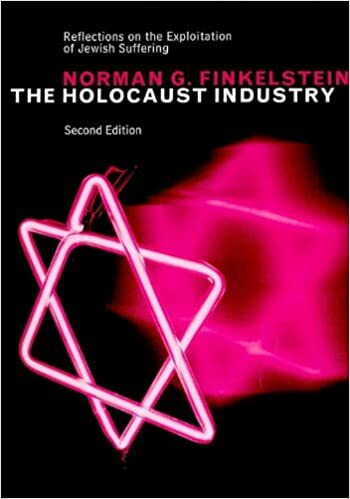 But he certainly agreed with Finkelstein that it was “morally impossible” – ethically inconceivable. His points about ‘holocaust denial’ and the like were in his later session on John Stuart Mill. Since we have never questioned the truth of the Nazi genocide, it has no relevance to us. Note that there is no reference at all to Finkelstein’s exchange with the CPGB about us at all in their report. They are frightened of this because he clearly said that ‘Jewish lobbies’ play an important role in US politics. We don’t use that formulation, we refer to the power of the Jewish-Zionist bourgeoisie. But he did, without class qualification. Therefore from the standpoint of their own attacks on us, they ought to denouce him as an anti-semite. They won’t because they know that such an allegation about him would discredit them. It would be absurd. But by that logic their denunciation of ourselves is even more absurd. Still supporting North Korean genocidal Stalinism. Well done.